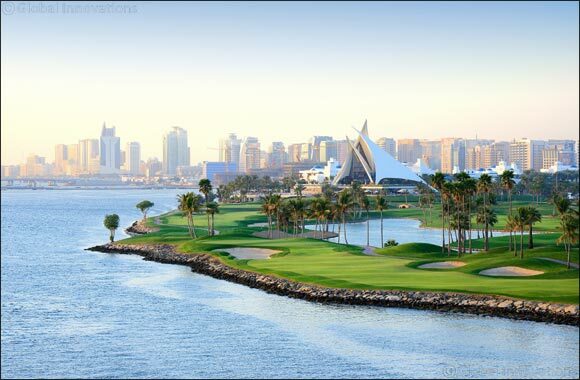 Dubai UAE, April 2, 2018: There is nothing better than a flavoursome spread, complimented by soulful music, set against a backdrop of sweeping views of the Creek, and Dubai Creek Golf Club has an evening of just that planned for its patrons on the 12th of April. Welcoming in the guests from 8pm onwards will be the heartfelt melodies of the in house saxophonist, creating the ideal ambience within which guests can feast on an evening brunch with beverages AED 550. Following this will be two sets performed by the energetic Road house Duo, raising spirits and building up the mood for the big event, the live George Michael Tribute Act Adrian Tinklin. From 10pm until 11pm guests can sway to the rhythms of widely loved songs by the acclaimed musician from within the classically decorated venue, promising an elegant event to all those in attendance. An encore by the Road house Duo will serve to wrap up the memorable evening, as guests sip on the last of the range of refreshing beverages on offer.